Looking for deals in Houston? 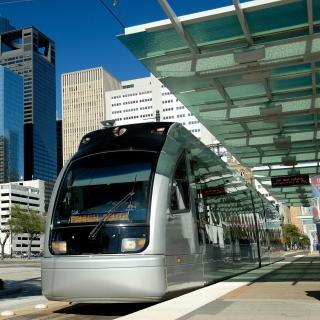 Set in downtown Houston, Hotel Alessandra is a 6-minute walk from Toyota Center and along the Houston MetroRail line. We live in The Woodlands and like to come downtown and stay somewhere for a show or a dinner. This was the first time we stayed at the Alessandra but it will not be the last. My wife and I agreed this is our new favorite hotel downtown. The room was so nice. It was big, extremely well appointed and in a great location. We didn't get a chance to eat at the restaurant (which looked amazing) or have a drink at the bar (which also looked really nice) but we will definitely be coming back! We had a really great stay here and highly recommend it. 7 miles from CityCentre, Embassy Suites by Hilton Houston West - Katy is located in Houston and features a fitness center and free WiFi. Offering a restaurant, the property also has a bar. Great staff!!! Awesome breakfast!! Located in Houston, within 1.9 mi of CityCentre and 8.1 mi of The Galleria, Hotel ZaZa Houston Memorial City offers an outdoor swimming pool. This property also provides guests with a restaurant. The Decor is perfect, loved the pinpón table. Friendly staff. Located 16 miles from CityCentre, Americas Best Value Inn & Suites Houston-Willowbrook in Houston has rooms with air conditioning and free WiFi. The room was very clean, and very nice. I was very happy with the room. It had a cute small table for two and it was only 5 minutes from the movie theater as well as a 10 minute drive from the mall. Everything was great. Featuring free WiFi throughout the property, Holiday Inn Express & Suites Houston SW - Medical Ctr Area is set in Houston, 0.7 mi from NRG Stadium. Complimentary breakfast is served daily. Great location, walking distance to the Nrg stadium and nearby restaurants. Located in Houston within an 8-minute walk of Minute Maid Park and 0.7 miles of BBVA Compass Stadium - Houston Dynamo, Homewood Suites by Hilton Houston Downtown provides rooms with free WiFi. Delicious breakfast, clean rooms and location is top notch! Featuring a fitness center, a shared lounge as well as a bar, Hampton Inn Houston Downtown is located in Houston, a 7-minute walk from Minute Maid Park. This 3-star hotel offers a 24-hour front desk. The close proximity to Minute Maid Stadium. Offering a year-round outdoor pool with Texas-shaped lazy river, Marriott Marquis is located in the heart of Houston, Texas, just a few steps from George R. I liked the pool area, the staff at the Marriott and the food choices. The Westin Houston Downtown is located in Houston, 984 feet from Minute Maid Park and 1640 feet from George R. Brown Convention Center. Guests can enjoy the on-site bar and the fitness center. The room was extra comfortable and the bathroom luxurious. Featuring free WiFi, Best Western Plus Downtown Inn & Suites is located in Houston, 0.7 mi from Theater District Houston. George R. Excellent customer service. I left an item in our room and they contacted me afterward. This Houston motel offers an outdoor pool and free shuttles to the nearby medical centers. 2 miles from Houston Zoo, it provides free Wi-Fi in every room. Clean and the small kitchen was nice. Breakfast was very good. This hotel offers air-conditioned rooms with free Wi-Fi, a bar and an outdoor pool. 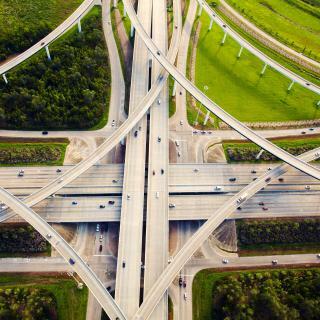 It provides a complimentary shuttle service to Bush Intercontinental Airport and within a 3-mile radius of the... Overall size of room, amenities, bed was comfy, splendid 10 !!!!! Located in Houston, Texas region, Motel 6 Houston - North is set 14 mi from Houston Arboretum and Nature Center. All rooms boast a TV with cable channels and a private bathroom. Incredibly clean, spacious rooms with a new modern decor. Located in Houston, Sleep Inn & Suites near Westchase has a fitness center, shared lounge and free WiFi. This 3-star hotel offers a 24-hour front desk and an ATM. The place and the staff are very helpful and extremely nice. Econo Lodge Inn & Suites Houston Willowbrook is located in Houston and has a fitness center and a garden. I love the area quiet. The front desk was very friendly. 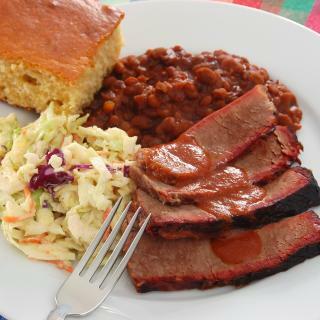 Located in Houston, Americas Best Value Inn - FM 529 features barbecue facilities. The property is around 10 miles from CityCentre and 16 miles from Memorial Park. The room was very nice, & spacious. The bed was comfortable. Offering an outdoor pool and a fitness center, SpringHill Suites by Marriott Houston I-10 West/Energy Hall is located in Addicks. Loved how clean the entire room is, very comfortable bed that smells fresh. Located in the lively Theater District of Houston, Texas, this boutique hotel is listed as a Texas Historical Landmark and a Historic Hotel of America. Staff very helpful and friendly, the location is excellent and the historic atmosphere is fabulous. This all-suite Houston hotel, overlooking Discovery Green Park, is 2625 feet from the George R. Brown Convention Center. Great service by the staff, who were very friendly and eager to assist. Offering an outdoor pool, terrace, and poolside bar, Hotel Zaza Houston Museum District is located in Houston, Texas, just 3.1 mi from NRG Stadium. Hotel ZaZa came highly recommended and so happy I listened. My son and I had a great visit. Featuring easy access to Interstate Highway 10, this hotel has a refreshing outdoor swimming pool and rooms with free wireless internet access Brightly colored guest rooms with light wood furnishings... Great staff! Amazing rate per room. The breakfast was delicious and had many options. Featuring a seasonal outdoor pool, SpringHill Suites by Marriott Houston Northwest offers rooms with a flat-screen cable TV. This hotel is located adjacent to Lone Star College - University Park. Hotel was quiet, clean, comfortable, and in a safe and upscale area. Located in downtown Houston, this historic luxury hotel is a 5-minutes’ walk from Minute Maid Park, home to the Houston Astros baseball team. Convenient location to minute maid park. How much is a hotel in Houston for tonight? On average, it costs $146 per night to book a 3-star hotel in Houston for tonight. You'll pay around $233 if you choose to stay in a 4-star hotel tonight, while a 5-star hotel in Houston will cost around $485, on average (based on Booking.com prices). Which hotels in Houston offer an especially good breakfast? 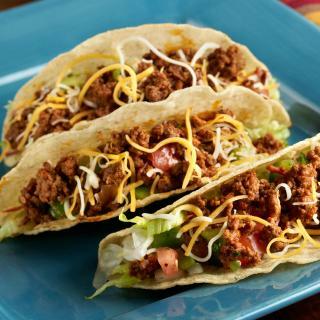 For hotels in Houston that serve highly-rated breakfasts, try Hotel ZaZa Houston Memorial City, Hyatt Place Houston- Northwest/Cy-Fair, and The Lancaster Hotel. Which hotels are the best ones to stay at in Houston? 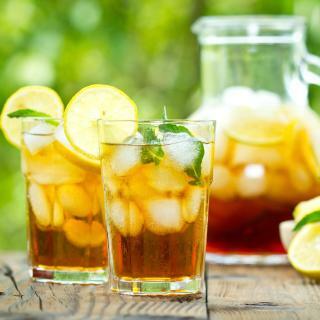 Hotel ZaZa Houston Memorial City, Comfort Suites Northwest Houston At Beltway 8, and The Lancaster Hotel are some of the popular hotels in Houston. Which hotels in Houston have nice views? Hotel Alessandra, Marriott Marquis Houston, and Home2 Suites by Hilton Houston Willowbrook got great room view-related reviews from travelers in Houston. What are the best hotels in Houston near NRG Stadium? Some of the best hotels in Houston near NRG Stadium include Staybridge Suites - Houston - Medical Center, Holiday Inn Express & Suites Houston SW - Medical Ctr Area and Comfort Suites near Texas Medical Center - NRG Stadium. How much does it cost to stay in a hotel in Houston? On average, 3-star hotels in Houston cost $100 per night, and 4-star hotels in Houston are $143 per night. If you're looking for something really special, a 5-star hotel in Houston can be found for $324 per night, on average (based on Booking.com prices). How much is a hotel in Houston for this weekend? The average price per night for a 3-star hotel in Houston this weekend is $232 or, for a 4-star hotel, $341. Looking for something even fancier? 5-star hotels in Houston for this weekend cost around $620 per night, on average (based on Booking.com prices). Which hotels in Houston are good for families? Many families visiting Houston loved staying at The Residency Suites, Fairfield Inn by Marriott Houston Northwest/Willowbrook, and The Lancaster Hotel. What are the best hotels in Houston near William P. Hobby Airport? Travelers who stayed in Houston near William P. Hobby Airport (HOU) have said good things about Super 8 by Wyndham Houston Hobby Airport North, Hilton Garden Inn Houston Hobby Airport, and La Quinta by Wyndham Houston Hobby Airport. Which hotels in Houston are good for couples? These hotels in Houston are highly rated by couples: Hotel ZaZa Houston Memorial City, Comfort Suites Northwest Houston At Beltway 8, and The Lancaster Hotel. Which neighborhood is the best one to stay at in Houston? 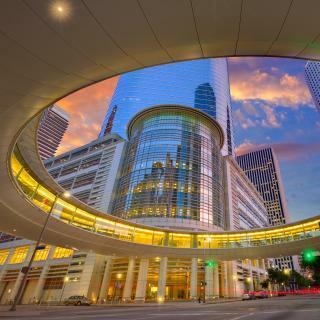 Downtown Houston, Galleria - Uptown, and Medical Center are popular with other travelers visiting Houston. I am slowly transitioning to the area from Chicago (metro), and am so glad to hear from everyone I ask, what they love about Houston. The resounding answer is, "there is always something to do." I asked that question on a varied age spectrum. Always, the same answer. Good luck on the traffic during rush hour to get to a restaurant. Spec's deli is fantastic. We were there for the FIRST world robotics championship. Our team made it to the finals at Minute Maid but lost 2-1. Won it in 2017 and 2018. We'll be back. 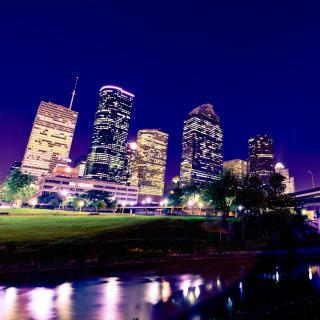 I enjoy Houston, I have a lot of family there. I enjoy Houston, I have a lot of family there. Food was good and natives were very friendly. Hotel prices are reasonable, especially compared to Chicago and New York. I ate at Papa’s B B Que down the street from hotel. It was recommended by hotel employee. Houston is a lovely place with a lot of things to do. Houston is a lovely place with a lot of things to do. However, the traffic is crazy, and people could be more friendly. Being from Louisiana, our biggest cities are not quite as big as Houston, so it was a little bit of a shock for me. But I enjoyed my trip nonetheless. Houston has a great art district. Houston has a great art district. It’s also close to my family who I came here to visit. It’s also close to the Kemah boardwalk and just a short drive from Galveston. Traffic is never a pleasurable experience around Houston. But I have lived in the area before And know my way around. we really like how there is always stuff to do as a family. we really like how there is always stuff to do as a family. we live in a small town so when we do travel with our kids we like to do a lot of kid friendly things and let me tell you, houston sure does have it! the hotel emailed me early in the morning of my flight to tell me how to get a shuttle from the airport to the hotel. It was very easy, the driver was great, and the trip only took about 10 minutes.The hotel was clean and very comfortable. My room was spacious and well-stocked with amenities. The staff was amazing. Because my flight out of Houston was in the early evening I requested a late check-out and they were good enough to allow me to stay until 4 at no extra charge. That made my whole trip so much more comfortable! The property was beautiful and very comfortable. The staff were excellent and the buffet breakfast delicious. My mom and I were in route to Germany for Christmas. Glad we got to visit with Santa! I wish we had gotten in a little earlier to walk around and see more of hotel and surrounding restaurants which looked to be an abundance of as we arrived by cab from airport. I would recommend and stay here again if ever in Houston again! 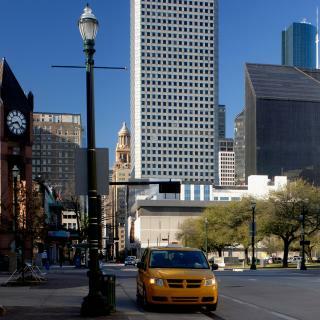 The hotel is in a great location in downtown Houston. It is in easy walking distance to parks, sports stadiums, theaters and good restaurants. The north south train is very close by and so it is also easy to get to the museum district. The staff was friendly and very helpful. I had one of their smaller rooms but it was just the right size for one person. I will defiantly stay here again on return trips to Houston. The apartment is managed by a company called “The Lyric Houston,” and has a full kitchen, laundry, and an excellent small living room. If you’re traveling alone for business and want the convenience of a condo for the price of a hotel, this is your best option. The furnishings, location (two blocks from Minute Maid Park and five blocks from the Convention Center and Toyota Center) can’t be beat for the price. The front desk staff were friendly and helpful. The room was big and clean, it had extra linens and the bed was comfy. I got a great rate for my short stay and would definitely stay here again if in Houston. There was also a Walmart right across the street and plenty of restaurants around. It's a great location just 15 minutes from Hobby airport and downtown. The at home feel of the place. Parking was safe, secure and off the street. The place was more of a second apartment rather than a hotel room. Walk in closet and bath room were quite large and easy to move around in. The big window in the living room and the bed room offered great lighting and an awesome view of downtown Houston. Very clean, quiet and friendly. I guess the busy streets may disturbe depending on the location of your room, but I wasn't bothered at all. Friendly staff. Nice gym and a little pool as well. Also liked the breakfast omelettes! Excellent for business travel if your meetings are west of downtown or around the Galleria area. Great location connected to Galleria mall one of the biggest malls especially if you staying short time and winter with a lot of rain it will tick all the boxes. It’s about half an hour from the airport Taxi charge between 65-80 US$ depends on the traffic going to downtown by Uber about 15US$. Overall it is a great hotel with conditioned facilities. Room keeping was great. Location in the heart of Houston with many restaurants around and Galleria mall. Staff were cheerful and courteous. Especially Mr. Cody Ledsworth at front desk has been of great help. The hotel is huge firstly, there’s quite a few restaurants/bars on site which is great. The rooms are very big, comfortable beds and clean. The staff were friendly also. Easy walking around the downtown area from the hotel. I was thrilled with Hyatt Place. It was a super find in a great location right next to the Galleria. Staff were lovely and the hotel was incredibly smart. I really loved the lemon and cucumber water stations too. A great idea! Professional staff, clean, friendly, comfortable, great location. Stayed in three other hotels in Houston over the past two weeks and this by far was the best. The best location if you are in transit at the Houston airport. Super comfortable beds and amazing buffet breakfast. The staff and amenities.The best staff of any hotel I have stayed at... They have the staff of a 5 star hotel. Excellent accommodation and great staff. Best Hotel in Houston!